Occupation: Simple woman with a complexing life. 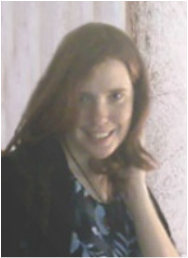 Appearance: Amy is a tall paled skined woman with long curly, red, auburn hair and dark brown eyes. She portrays much of her characteristics from her Mother and Father. Clothing Style: She tends to fit the era of what people generally wear in the era she is in. In present time, one would find herself with a plain simple dark dress. Generally doing her best not to stand out. In the 18th century as a young girl, she was dressed in simple dresses that her mother and aunt picked out for her. History: Amy du Prés Collins was born on the 14th of April 1789 during voyage to America from Martinique. Her father and mother, the orginal Barnabas Collins and Josette du Prés set to marry in Collinsport unexpected in having a daughter on their voyage. While growing up on the estates, she became close to her family members around her especially her young aunt Sarah who was about her age and with her great - uncle Jeremiah sharing endless times of fun. During this time plans of the wedding with her parents were at haste. During the time she was age six having a passion for sailing and the sea, she one day in April met only by accident a boy who soon would be the love of her life. A foreign naval officer named Vladimir later to be Vladimir Armâge. Having sharing common likes and thoughts they soon fell in love. Having split between spending time with her love and supporting in her family busy celebrations, tragedy soon plagued the Collins family as chaos filled with mysterious deaths and events such as the marriage of Jeremiah and Josette then in result of a duel between him and Amy's father killing Jeremiah. Having Amy's world only fall apart even more so, she looked to Vladimir for all love and compassion he could give her. Until the tragic day in late July when he left Collinsport to return to England. Having her heart broken however knowing he would return to her one day, Amy was left alone with her relatives until to this day her friend Ange Blair daughter of a maid arrived filling the holes and tragedy in Amy's life. Continuing In her young life Amy spent most of her time with her family having lessions with her Governess despite the mess with the family. It wasn't until late in August 1795 when she had a stroke of joy come to her when Vladimir amazing returned to her. Happy to have him however unknowing what change occurred to him, she was happy to see him frequently again until tragic news came when she learned from his beloved brother Syerren of what actually occurred and how now, they were placed upon a love curse by their father, a dark lord, never see each other again. Remaining in grief except with the daily love letters to her, Amy stride in continuing through each hardship that plagued her. Later on the following year, Amy looked back towards her family as plague seem to hit the family as those around her became ill. Her especially father came down with a strange disease and passed away shortly afterwords leaving her mother to drain in sorrow. Suprisingly at that same time, Amy came down with a same disease dying instantly in Ange's arms. Although not dead entirely, Amy soon took upon a new form, rising again as one of the living dead. Ange suprised in learning this soon helped her in every way she could with her own powers of witchcraft. Later in the months, another tradegy hit when learning about her father becoming the same thing and wanting Josette to join him as they were. Soon witnessing the event of when she refused and killed her self by jumping off of Widows Hill. Not able to take much more of this life having killed too on her own, Amy demanded Ange to end her life. Not being able to comply while keeping Amy's coffin in the secret room of the now abandoned Old House, Ange soon met with her own mother Angélique Bouchard the witch responsible for most of the events in Collinsport and put a curse on Amy and her family. Fulfilling in ending Amy's life by staking her, the witch was punished as Vladimir leaned of this and soon banned her to the fires of Hell. As this ended Amy life in the 18th Century, Ange promised Vladimir life back to her in 200 years later rising again as an immortal however only having half of vampire blood in her. Later rising again as a child of six in the 20th century, Amy was brought up by Ange leaning everything she could as a normal mortal until her 20th birthday when Ange released her memories back of everything she had in the 18th century along with the abilities of a vampire. With this Amy soon remebered well of falling in love with a boy and her family wondering exactly what occurred. Leaving Ange's care, Amy soon reallzed her acutal father came to Collinsport. Seeking residence there in surprised that they were alive again they continued the months learning everything they could of what happened. Soon after living happily with her family, a shock of her life that Vladimir and Syerren still alive to this day, however taken the surename returned to Collinsport after getting the news that she was alive. Tragedy struck them when they learned that Amy and Vlad's curse was still upon them. Stuck between various event occuring as well as the creator, their father returning, the brothers took upon destroying him and instantly lifting the curse with Amy. Having again fallen in love, Vladimir soon proposed while still as the undead lived happily with Amy continuing to enjoy life as a family.